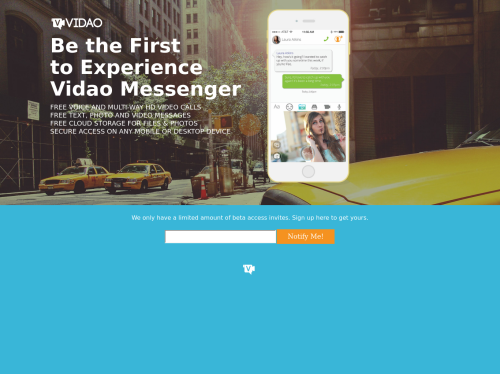 Vidao Messenger is an all-in-one messenger app with free voice & HD video calls, multimedia messaging and cloud storage. Talk face-to-face with multiple friends at the same time. Upload your photos, add them to albums, and share them with your friends. Need to share a file instead? Vidao works for all other files as well.